Temo guitar and singing students from IL, IA, KY, GA, and OH will be flying in for the intensive and presenting a performance with Clinard dance students from only having worked together for 3 days of coaching at this years Flamenco intensive. Note: 2 Guitarists will be available starting anytime Thurs. morning. 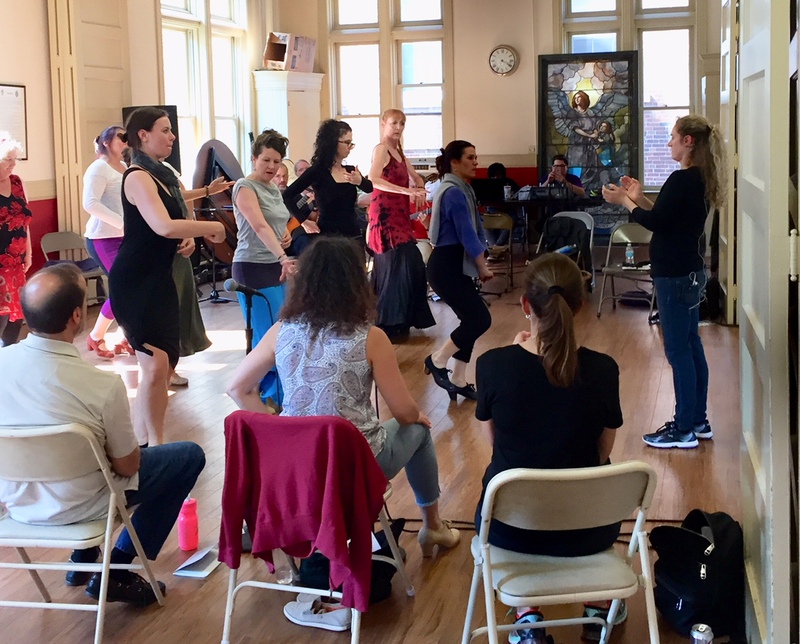 Temo guitar and singing students from IL, IA, KY, GA, VA, and OH accompanying in performance Clinard dance students from only having worked together for 3 days of coaching at this years Flamenco intensive. Join us at Aug 26th 2p at Instituto Cervantes for an afternoon of student work. Students of Wendy Clinard and Marija Temo ( guitarist, singers and dancers) will gather from all corners of the United States to share their flamenco studies. The performance will include improvisational and composed opportunities for the students. Come on out and see how the parts of flamenco -singing, dance and guitar make a whole and get insight into the process of the art of flamenco. Ask for Temo Group: Temo has reserved 11 rooms (6 Courtyard Queen, 4 Standard Queen, 1 King at the price of $109). Hotels are reserved 8/23- 27/18. (Thur- Mon.) If you are planning on arriving Wed. 8/22, please let the Astor know and they will give you the same rate. Also be sure to inform them your dates of arrival and check out, so you are not charged for any extra days that the reservation is currently blocked off for. July 23, 2018 Deadline to give credit card to hold rooms. Cancellation policy 48 hours in advance. Each person is in a suite with one other person. There are two kitchens on each floor; one at each end. Guests get a fob to gain garage access and key tag that provide free access to come and go. Parking Fee: 8 dollars per night. Include Flamenco in the subject. You have to create a password and then you are able to pay. Please let them know when you will be arriving and checking out so you are not charged for extra days. July 23, 2018 Deadline to make the reservation with partial payment toward the total to hold the room. Full paymnet is needed before check in. Full refund can be provided until 48 hours before check in. No alcohol in common areas of the building even if they are over 21. Guests are allowed to drink in bedrooms, but they typically encourage groups to head over to places near Kenilworth if they want to drink. There is a housing policy and all state and federal laws apply as well. There is staff 24/7 and they will receive the desk number when they check in. (Flamenco workshops/coachings are held in the room to your left as you enter the red door with the building marked 816 Cathedral Institute). Street parking available and behind and to the side of the church. Behind the church, be sure your car is in spots facing the church side; otherwise you will be towed. Uber is ½ the cost of a taxi around $20 one way.